An opportunity to acquire a modern four bedroom detached property, situated in a sought after cul-de-sac on the fringes of this well served village. The property has the benefit of double glazing and gas central heating. 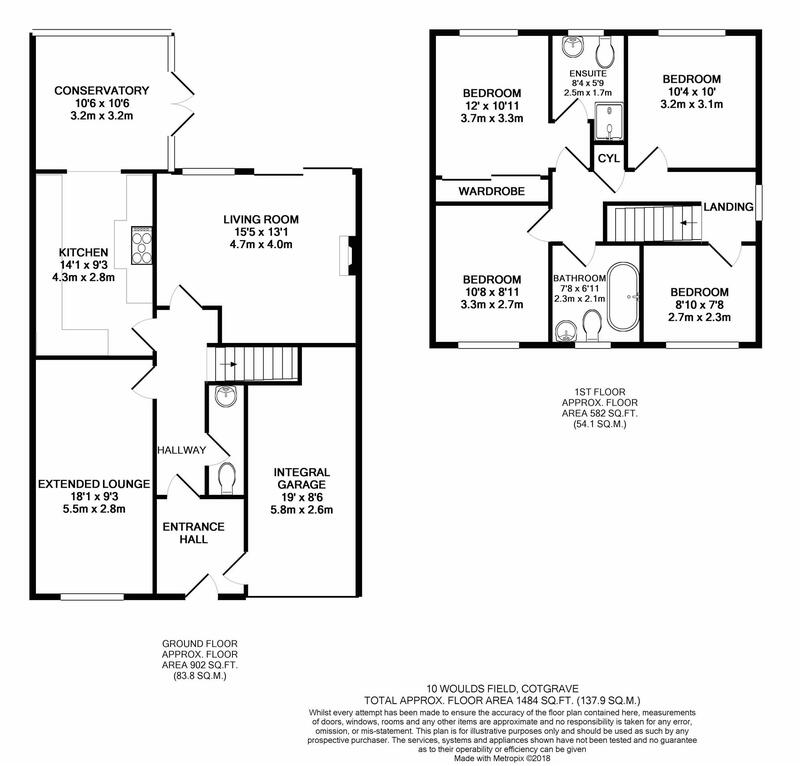 Briefly the accommodation comprises: entrance hall, downstairs WC, lounge, extended dining room, conservatory, four bedrooms and en-suite to master, family bathroom. 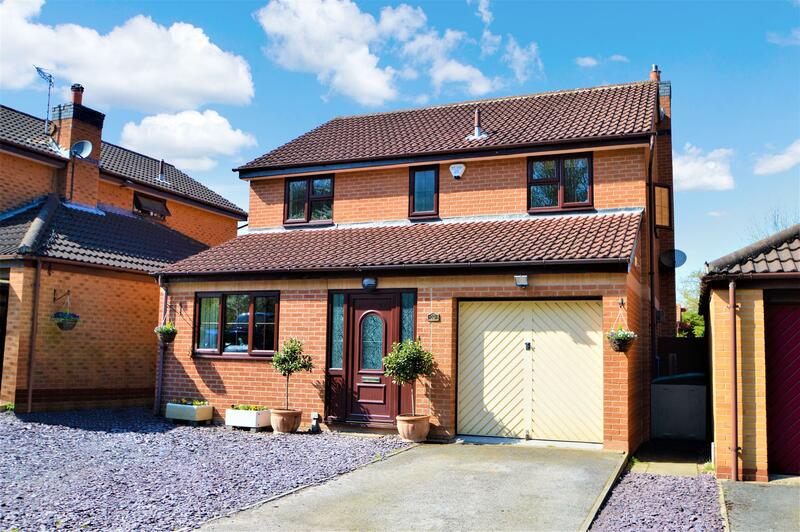 Externally, there is a driveway, single garage and gardens to the front and rear of the property. Offered for sale with no upward chain and an early viewing is highly recommended. With a window to the front of the property, radiator, coving, two pendant ceiling lights. Fitted with a low flush WC, wash hand basin, tiled flooring, radiator and spotlights. With a window to the rear of the property, radiator, fitted double sliding wardrobes, laminate flooring, ceiling light fan. Fitted with a white three piece suite comprising fully tiled shower cubicle with rain shower over, low flush WC, vanity wash hand basin, heated towel rail, fully tiled walls, floor tiling and a window to the rear of the property, spotlights, shaver point. The rear garden is mainly to artificial lawn with a large paved patio areas and borders containing a variety of shrubs. A Large wooden garden gazebo with tiled roof gives shelter to Luxury Hot Tub which is also offered within the purchase price. To the front of the property there is a shale garden area and side driveway which in turn leads to the single integral garage with an up-and-over door, power, lighting points and access door from with the property.